Shopping for Neon Genesis Evangelion Action Figures? Kotobukiya's line of Cu-Poche figures expands with Evangelion! 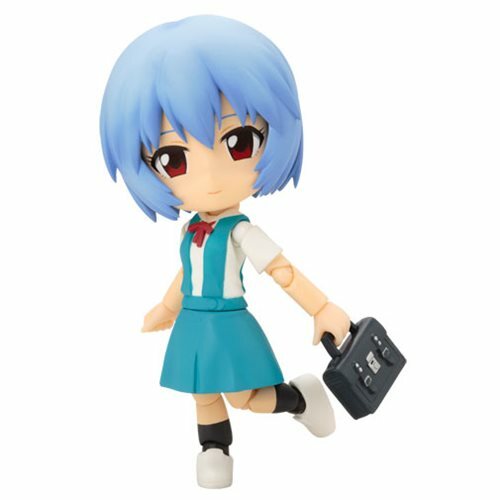 The Rei Ayanami Cu-Poche features multiple points of articulation as well as interchangeable parts for a wide variety of posing options. Rei has magnets in her feet for extra stability. Made of plastic, the figure measures approximately 4 1/2-inches tall. Ages 14 and up. Petite Cu-Poche Pilots Perfect for Evangelion Patrons!